Diverse speakers and performances that touched on everything from translational leadership to the color of music were featured in the inaugural TEDxDayton, an event designed to spread ideas and inspiration. Rewriting the formula for college success. Enhancing learning through brain stimulation. Bringing numbers to life. Examining racial identity. Learning leadership secrets. Wright State University honored more than 2,000 graduates during its spring 2013 commencement ceremony April 27 in the Wright State Nutter Center. A project manager at the Wright State Research Institute and seven Wright State University alumni are among the “Forty Under 40” award winners who will be honored by the Dayton Business Journal. 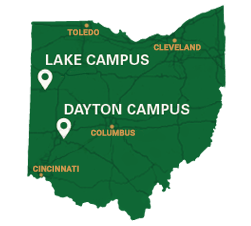 Five Wright State University Raj Soin College of Business alumni have been nominated for the 2012 Dayton Business Journal’s ‘CFO of the Year Award’. When Captain Tejdeep Singh Rattan, ’01 and ’05, became a U.S. Army officer on March 22, 2010, he made American military history as the first Sikh officer to serve in the Army in more than two decades.